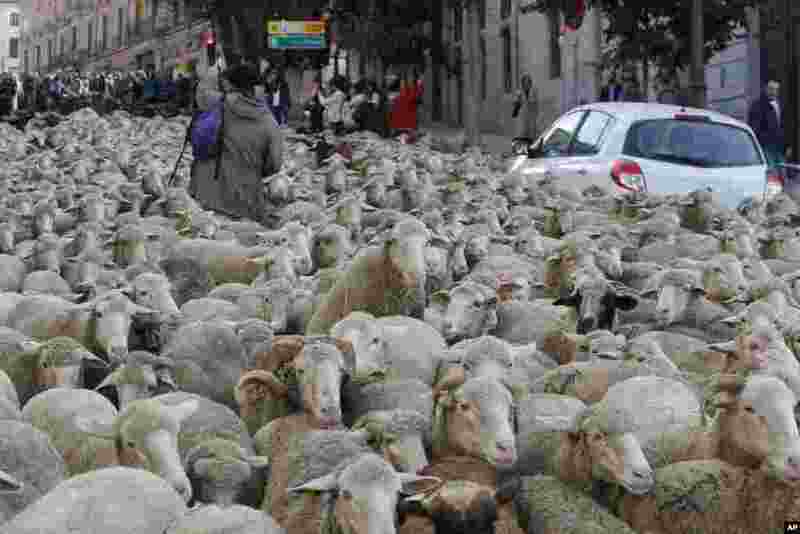 1 A shepherd guides a flock of sheep through central Madrid, Spain. 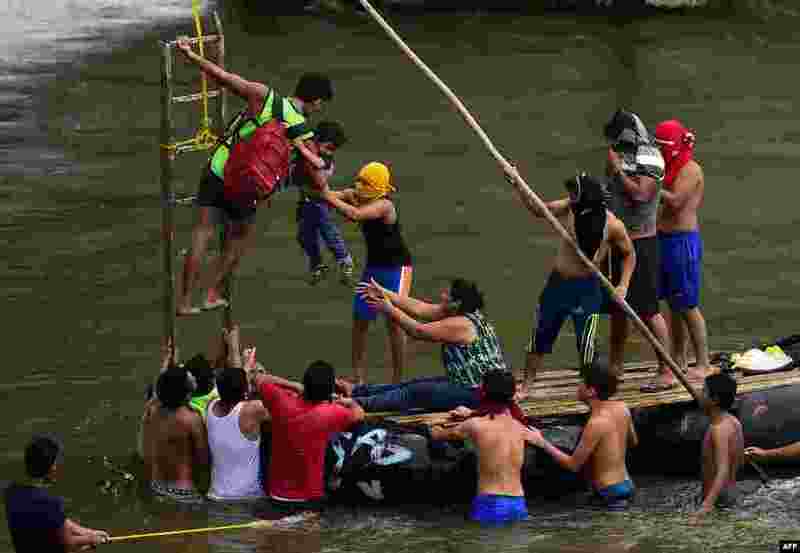 2 Honduran migrants heading in a caravan to the U.S., help a man holding a child get down to the Suchiate River from the Guatemala-Mexico international border bridge, in Ciudad Hidalgo, Chiapas state, Mexico, Oct. 20, 2018. 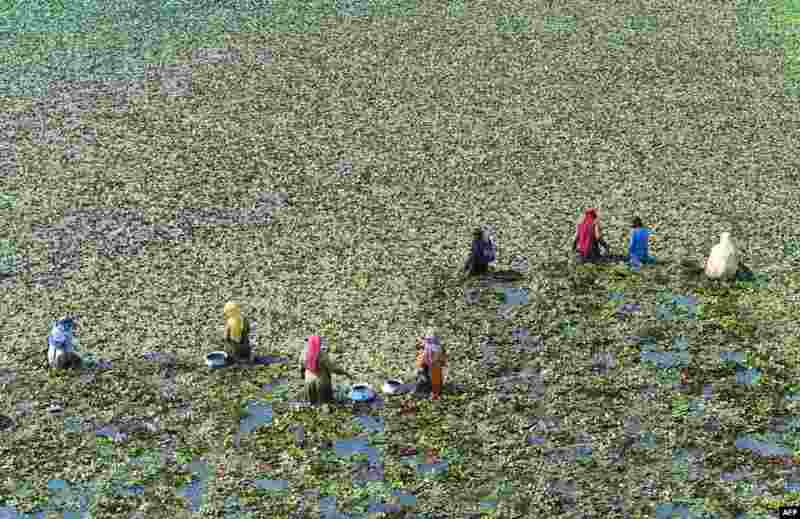 3 Pakistani laborers harvest water chestnut from a field in Lahore, Pakistan. 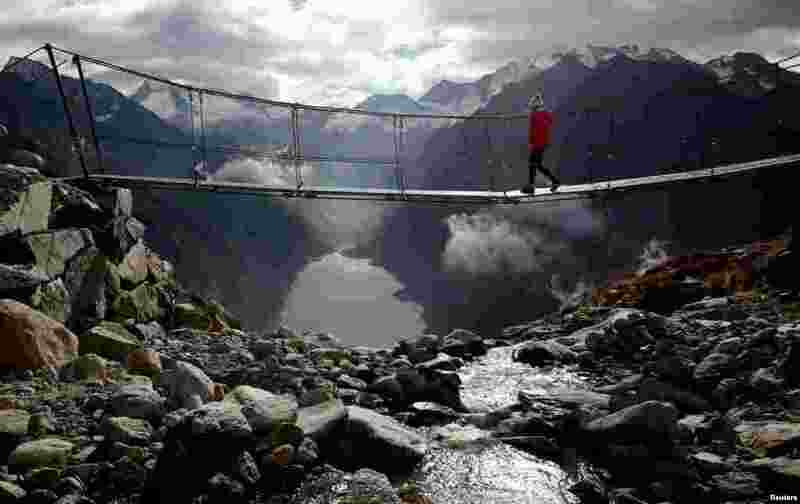 4 A woman walks on a swing bridge on a sunny autumn day near the alpine village of Ginzling, Austria.